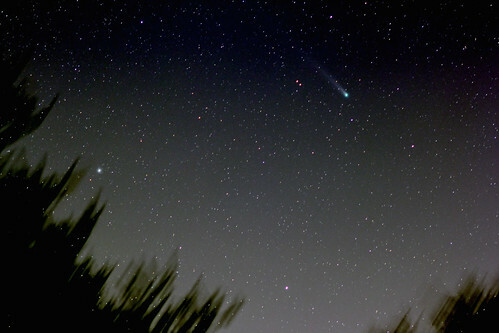 Finally Clear Weather to Photograph Comet Lovejoy! 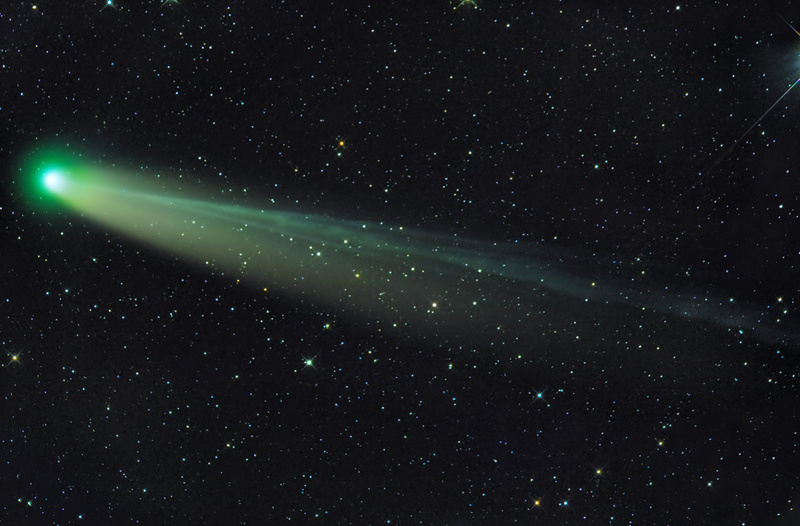 Comet Lovejoy (C/2013 R1) is seen near the M13 globular cluster in Hercules on the morning of December 11, 2013. This photograph was a stack of 30 six second exposures (Canon T2i / ISO 1600 / 100 mm f/2.0 lens @ f/2.8) The images were stacked using ImagesPlus. The bright star at the upper right corner (just spikes visible) is the 2.81 mag ζ Herculis. Last edited by IO_12 on Mon Dec 16, 2013 10:23 am, edited 1 time in total. 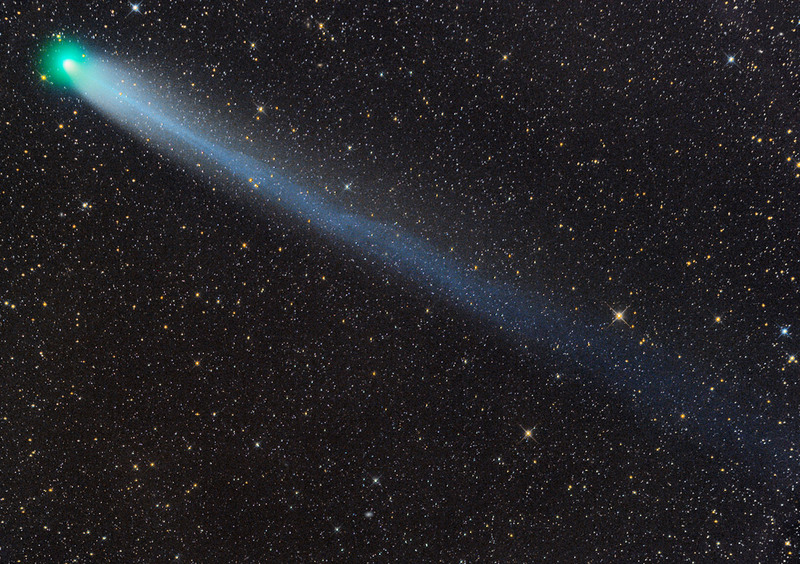 Comet Siding Spring - C/2013 A1. On December 22nd, 04:04-16ut. Now less then 10 months from now from its very close approach to Mars on October 19, 2014. My contribution to the thread very late, I'm new to the forum but wanted to leave this in remembrance of this comet that much I enjoyed it. Image taken at El Pedroso, Sevilla, Spain, on December 7, 2013, Canon 650D and Nikon 200mm lens at f5.6, about 40 minutes exposure to ISO 3200.